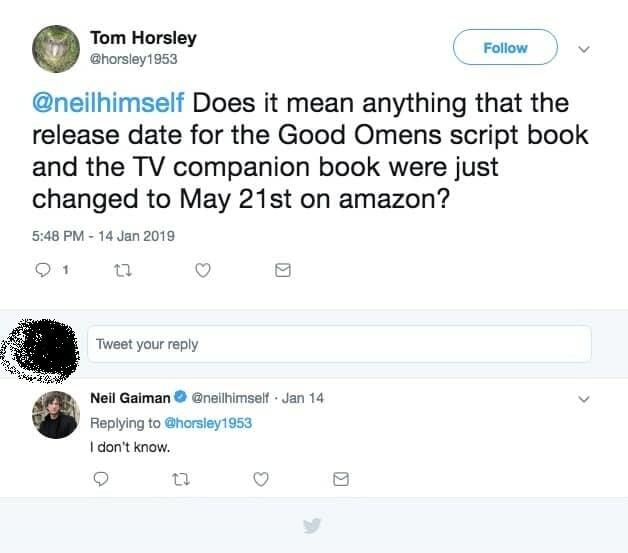 After a few years of development hell, Good Omens — the TV show based on Terry Pratchett and Neil Gaiman’s novel of the same name — is set for release this year as a six-part miniseries. 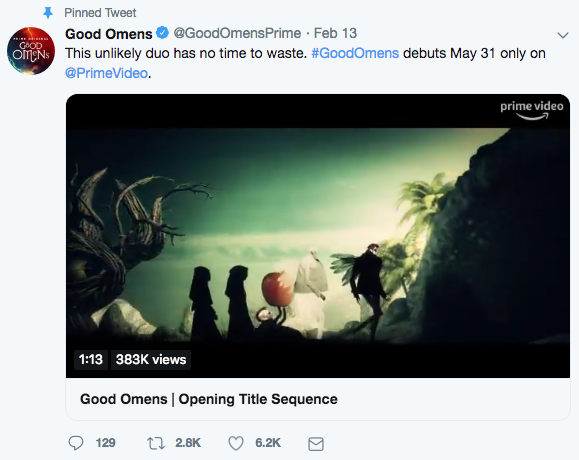 Jump to : How to Stream Good Omens S01 on May 31! … we finally got a firm release date, May 31. It’s — finally! — coming this year. Good Omens is a sort-of-satire, sort-of-fantasy about the war between Heaven and Hell. Terry Pratchett does his usual trick, that of juxtaposing actual people with cosmic events for humorous effect. 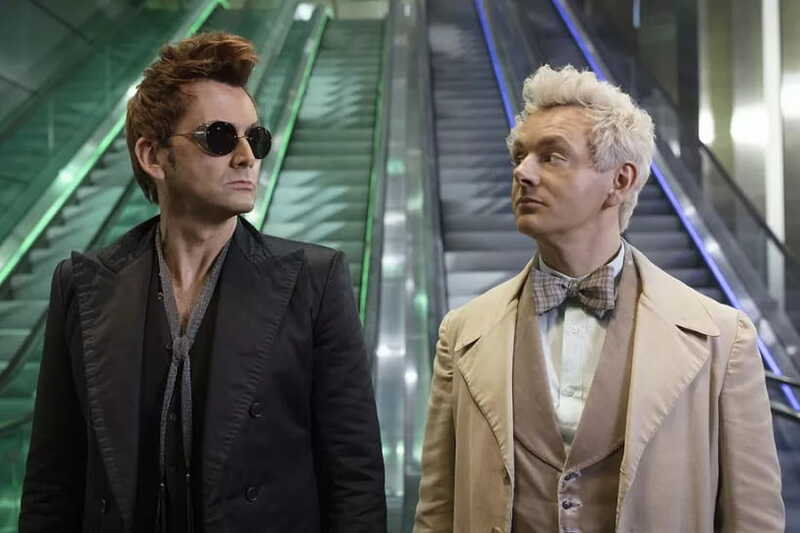 Two agents of the supernatural, the demon Crowley and the angel Aziraphale, are technically at war with each other, but have long since settled into a cosy accommodation in which they swap minor victories and defeats without either being seriously incommoded. Into this arrangement comes the End of Times; the Anti-Christ is born, but owing to a mix-up is brought up not by agents of The Dark One or of the Everlasting Father, but by a dull couple in an English village. The plot centres around the efforts of Crowley, Aziraphale and eventually the Anti-Christ to prevent the apocalypse, while the Four Bikers and sundry others race towards it. While we have no way yet of knowing what the show’s like, because broadcast hasn’t begun yet, we do know that it’s attracted an all-star cast: Michael Sheen (Amadeus) and David Tennant might be the names you recognize, but when they get on the screen you’ll know a lot of the faces too. TV stalwarts like Simon Merrells (Casualty, 12 Monkeys, The Tomorrow People) and Sharon Cherry Ballard (Sherlock, EastEnders) rub shoulders with comedian Jack Whitehall, up-and-coming movie actors like Jill Winternitz (10X10, Pleasure Island) and actors like Caitlin Thorburn (State of Mind, Star Wars: Battlefront II) who mostly works in videogames. Oh, Jon Hamm’s in it too. What will the TV show look like? 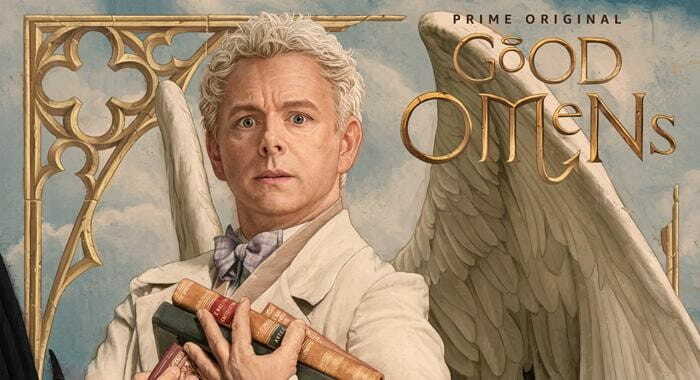 Rather than try to push Good Omens into a genre TV show format, director Douglas McKinnon has managed to transfer the novel to the screen while keeping its unique feel intact. It must help that the TV series script was written by Neil Gaiman, apparently at Terry Pratchett’s behest. But even the cast had concerns that the genre-mashing fan favorite might not transfer to the big screen well. David Tennant told Rotten Tomatoes. Good Omens is coming out on Amazon Prime, and should be available in Britain and the US at the same time. If you’re not from one of those countries and you can’t stand to wait your options are more limited. A VPN alone won’t cut it: Amazon doesn’t defend intellectual property rights based on your IP address but on the billing address of your payment method. Which if you think about it, makes a lot more sense. Trouble is, it means you have to get sneaky if you want to beat them. One method works as follows: Buy an Amazon gift card in the currency of the country where you want to seem to be located. Then, cancel all your Amazon payment methods; they’ll all show billing addresses in your real country of residence. Finally, use the gift card to buy access to the show. We can’t guarantee that 1, it will work; 2, it’s legal; or 3, it won’t get you booted right off Amazon. So we can’t recommend it. But we will say there’s a bunch of people on Netflix who are totally sold on it. Even if a VPN won’t save you in this instance, it should still be a tool in your arsenal. We recommend Nord VPN for streaming purposes in this case. For more quality VPNS, check out our best VPNs for streaming!